Katja Berg's A Rubber Face with a Stripper's Name is an incredibly inspirational memoir about life as a single parent, the struggles, the victories and the moments in between. It is told from a single mom's perspective as Berg allows us to walk in her footsteps and see the world through her eyes. She knows the pain of divorce, the crushing effect of financial woes, and the heartbreak that comes with rejection from friends whom she had known for years. While Katja Berg is hurt many times, her strength to pick up the broken pieces and move on is remarkable. Her parents' support throughout her tough times is also admirable. Ultimately, this is the story of a mother's love for her children embedded with the importance of sisterhood amidst fearsome turmoil. When Katja was growing up between the Copenhagen Zoo and the Carlsberg brewery, she never for one moment expected to become a single mother of twins. Follow the life and times of Katja as she grows up in Denmark and travels to London to become a successful florist. Katja meets Casper and the no-strings relationship is soon given a kick into serious when she discovers she is pregnant. When Magnus and Pepper are born, Casper's selfish and womanizing ways go from awful to unbearable. Katja not only has to deal with mounting debts and an unsupportive and cheating partner, but a nagging self-doubt that she is not the perfect mother everyone else around her seems to be. Katja is just about surviving when the recession hits, forcing her to make drastic and life-changing decisions. This heartwarming journey of self-discovery will tug at your heartstrings and make you laugh out loud too. Katja is pushed to her limits and then some, but will this lioness find her voice and roar? 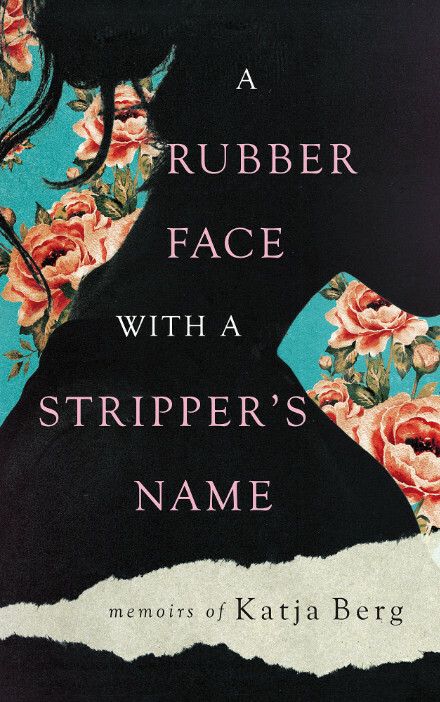 A Rubber Face with a Stripper's Name by Katja Berg is a well-written and brutally frank memoir of a 'real' woman faced with single motherhood. I related to everything in this book, all the little details such as the brown envelopes arriving through the mail and gaining self-confidence by watching others worse off than yourself on television. I admired Katja's tireless battle against the useless, womanizing Casper and I kept hoping she would realize that her inner strength could defeat anyone who tried to break her. This book should be read by every single mother who lives with a daily dose of self-doubt that their best will never be good enough. Katja proves that to be a single parent requires stamina, resilience, plus emotional and mental strength. A memoir that will evoke different emotions throughout, including some very funny moments. Katja is a true warrior. A Rubber Face with a Stripper's Name is a great memoir. Katja Berg has a great "voice" and a good writing style. I especially enjoyed reading about her life growing up in Denmark. I compared it to my own experiences growing up in Alabama and I found her memories of her childhood thoughtful, insightful, and compelling. These are very different experiences than those I had, but I found her conclusions about childhood, teachers, and parents strikingly similar. Rich in detail and keen observations, A Rubber Face with a Stripper's Name will make you laugh and cry. But most of all, it will make you think. That is what any good book, especially a memoir, is supposed to do. As a memoir, A Rubber Face with a Stripper's Name has no plot as such. But it does have a theme and this theme resonates throughout the novel. Katja Berg writes well. She writes in her own unique voice and I enjoyed reading about her life and her thoughts about the people, places, triumphs and defeats, as she goes through each phase of her life. Her thoughts about being a single mom are especially powerful and I felt how male privilege has benefited my own life as a single dad. Things I have often been praised for, she did as a matter of course with little or no praise, and even less support. I enjoyed reading about her life and I feel many other readers, male and female, will enjoy it too.